The first group of HyperX Esports Arena final tablists is set and Frank Stepuchin (pictured) leads the six remaining players out of the WPT Gardens Poker Championship. Stepuchin paced the field following Day 1a and completed his run by accumulating close to 40 percent of the chips in play. 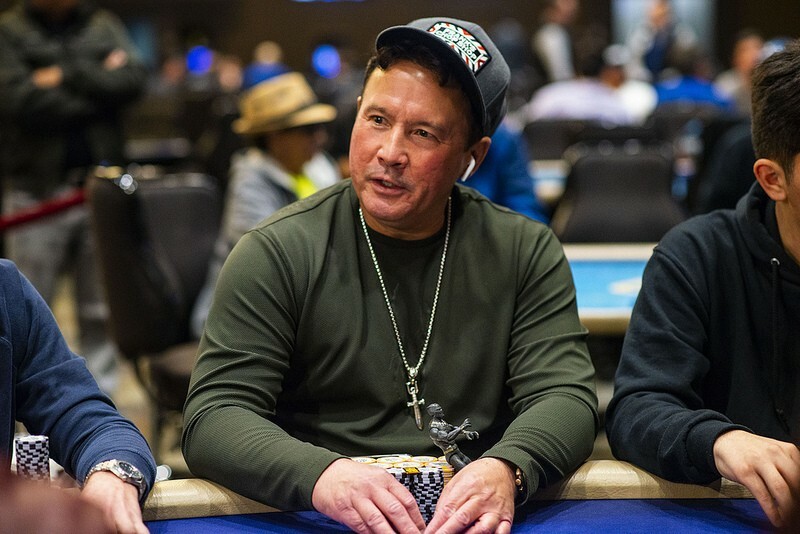 19 players returned to The Gardens Casino on Day 4 from an original field of 253 to battle their way to the first televised final table of Season XVII. The eliminations started right away as Gardens Casino Satellite Spectacular qualifier Dayron Huertas-Carballo was the first to depart. Huertas-Carballo’s story ended on an exponential note as he turned his $20 satellite entry into $25,225. Fellow Gardens Casino satellite winner Cedric Darrett fell in 16th place. The eliminations continued from there as Allen Pock (15th), Mauricio Salazar (14th), Ricky Guan (13th), and Qing Liu (12th) headed to the payout desk to collect their prize from the $10,000 buy-in event. The last remaining Champions Club member busted in 11th place when Marvin Rettenmaier fell shy of his sixth career final table and third title. Vince Salvatore exited in 10th place and the field redrew for the final seats at the unofficial final table. Peter Cross saw his tournament end in ninth place and two-time WPT runner-up Garrett Greer went out in eighth. Stepuchin climbed into a firm position as the final table chip leader via his elimination of three-time WPT final tablist Toby Lewis. for Stepuchin sent Lewis to the rail in seventh place. Jonathan Abdellatif joins Stepuchin as a first-time WPT final tablist while Shorr, Steve Sung, and Ray Qartomy are all taking their fourth crack at a title. Brent Roberts has one WPT final table to his name along with a WPTDeepStacks title from 2017 at Parx. Roberts can become the first player with a WPTDS and Main Tour title. The WPT Gardens Poker Championship final table takes place on March 12 and will be filmed for FOX Sports Regional Networks from HyperX Esports Arena. The next event on the WPT Main Tour calendar is the WPT Borgata Winter Poker Open from January 27-31 at Borgata Hotel Casino & Spa in Atlantic City, NJ. That final table will also take place at HyperX Esports Arena and be held on March 13. The button is on Frank Stepuchin and there is 57:12 remaining in Level 24 (15,000-30,000 and a 30,000-big blind ante). * First-prize amount includes the winner’s $15,000 buy-in into the season-ending Baccarat Crystal WPT Tournament of Champions.